Mr Kurma Purushotham born in a Christian Family and obtained two post graduate degrees Master of Commerce and Master of Business Administration and also pre Ph D. He started his career in Andhra Pradesh State Road Corporation, Hyderabad, Andhra Pradesh during 1966. He joined as a Junior Assistant and rose up to Deputy Chief Accounts Officer and served for 36 years. 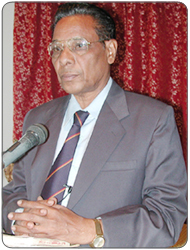 He is the founder member of St. Nissi High School and Managing Trustee of Nissi Charitable Trust. He is blessed with three daughters eldest daughter is a post graduate in Business Management and looking after St. Nissi High School at RTC Colony, Moulali, Hyderabad. She is blessed with two daughters and two sons, her Husband is a Central Excise Inspector in Hyderabad. His second daughter is a Law Graduate and her Husband is a trained Pastor and a post graduate. She is blessed with two sons. Third daughter is also a Post Graduate and her husband is working in ONGC as Superintendent Engineer. She is blessed with one daughter and a Son. Smt Sarah Vijaya Laxmi (Wife) is a Graduate and Bachelor of Education. 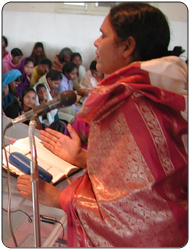 Born in a Christian family and brought up in Christian faith, She is a founder member in Nissi Church, established in 1989 with 150 believers. It has grown up to 600 and space in Church was not sufficient. Then we have gone for a bigger Church which will accommodate 1000 members. She is blessed with Holy Spirit and God gave her prophecy and healing spirit. Many Sick people got healed. She also prays through telephone for needy people. She conducts counseling to the disturbed families.